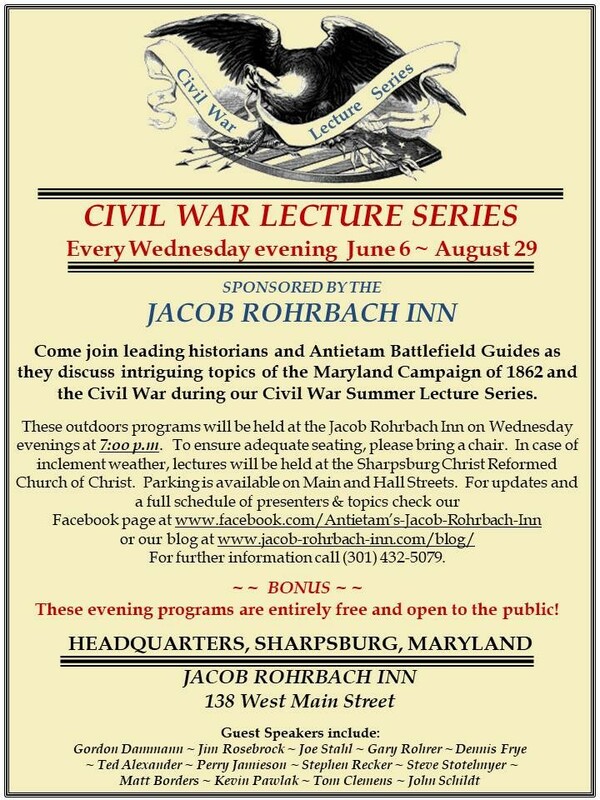 We have another great lineup of outstanding speakers this summer at the Jacob Rohrbach Inn. 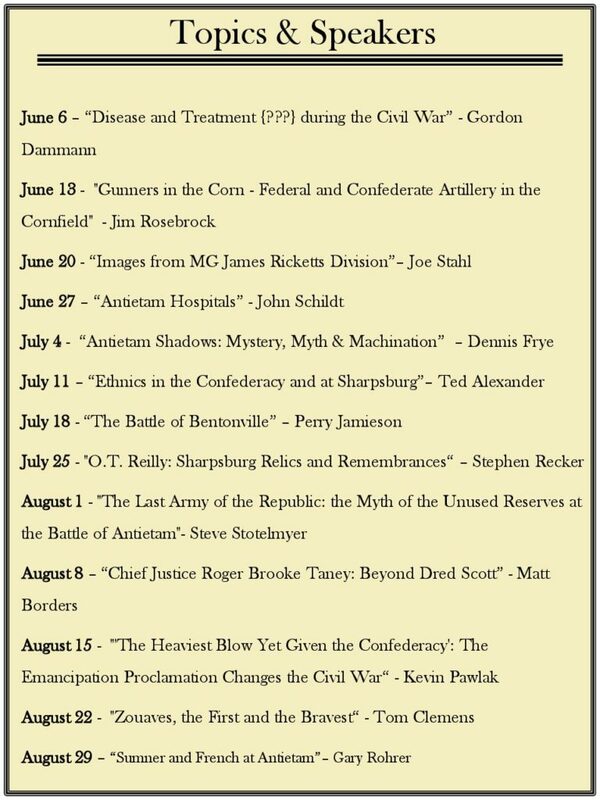 Come hear leading historians and Antietam Battlefield Guides as they discuss intriguing topics of the Maryland Campaign of 1862 and the Civil War during our Civil War Lecture Series. These Wednesday evening programs are free and open to the public. They will be held outdoors on the grounds of the Inn at 7:oo p.m so bring a chair to sit around our event tent. 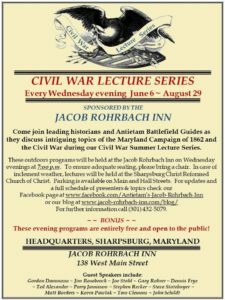 In case of inclement weather the talks will be moved to the Sharpsburg Christ Reformed United Church of Christ on Main Street. 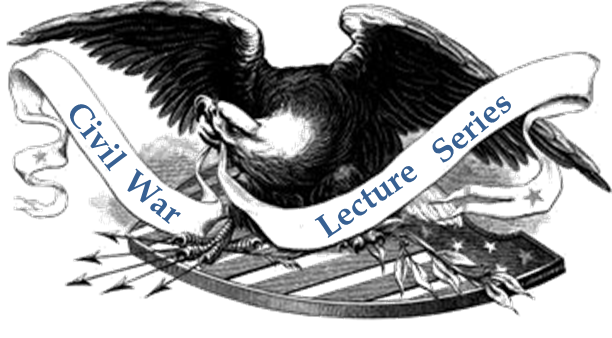 Check our Blog and Facebook page for weekly updates about the speakers and their topics.